The Beta Theta Pi fraternity house on the Penn State campus. The fraternity has been permanently banned. Members of the Penn State fraternity where a pledge died following a fall in February thought the victim was merely drunk and in no danger, according to defense lawyers and other sources who have spoken with the students. The fraternity members, according to the lawyers and other sources, said they came to the aid of 19-year-old Tim Piazza after he fell down a set of stairs at the Beta Theta Pi house. The fraternity members' version of events comes as Centre County prosecutors are weighing possible criminal charges in Piazza's death. "The fact-finding process is still underway and we need full answers as to how Tim Piazza lost his life simply by attending a bid acceptance party that was supposed to be dry," District Attorney Stacy Parks Miller said in a statement. "Now is not the time to start minimizing the incidents that led to his untimely death because, criminal or not, they were simply wrong." In their telling, according to four defense lawyers and other sources, fraternity members carried the 6'2", 205-pound Piazza upstairs, put him on a couch, gave him water and kept an eye on him. Although he was intoxicated, he otherwise seemed fine; at one point, he made jokes. It wasn't until the next morning when Piazza wouldn't wake up that the fraternity members knew his condition was far more serious. That's when they called for emergency help. Piazza, a sophomore engineering major from Lebanon, N.J., died a day later at Hershey Medical Center, having suffered a non-recoverable head injury, collapsed lung and ruptured spleen. Several of the lawyers asked not to be quoted on details about the case because of the ongoing grand jury investigation. State College lawyer Matt McClenahen, who is representing one of the members, however, confirmed that narrative. "I'm upset that the public has a misconception as to what actually happened," said McClenahen, who spoke on condition that his client not be identified. "The brothers did try to take care of him, but they simply misdiagnosed what the problem was. They erroneously believed he was just drunk and would have to sleep it off. "Even though this was a tragedy, there was no malicious intent," McClenahen continued. "There might have been some negligent behavior but there was no malicious intent. It wasn't a situation where they were just callous and thought they would withhold medical treatment to someone who needed it." 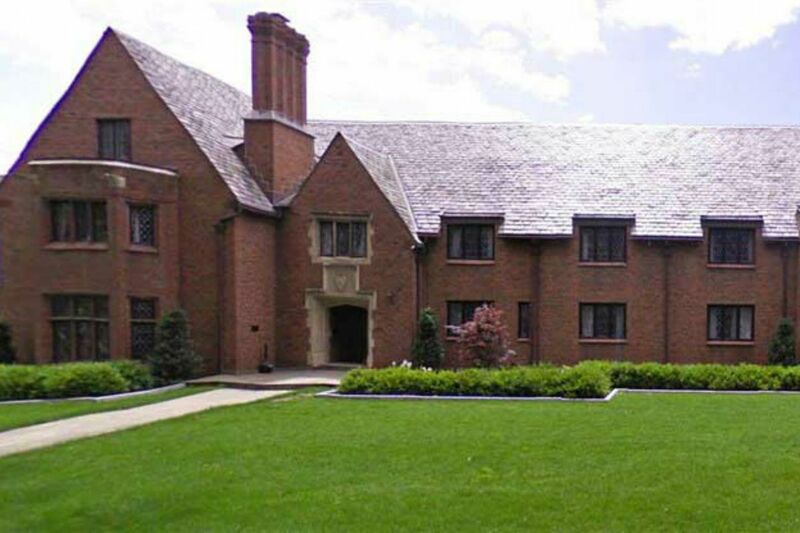 Beta Theta Pi officials have declined comment, citing the investigation. Various members of the fraternity have hired local lawyers to represent them as the investigation unfolds. The fraternity has been permanently banned by Penn State following Piazza's death for "forced drinking, hazing and other illegal activity." Defense lawyers engaged in the matter said authorities appear to be weighing a variety of charges against multiple people, including hazing, furnishing alcohol to minors, reckless endangerment and manslaughter. "This is a very complicated case, criminally," said lawyer Andrew Shubin, who is representing a fraternity member, "especially if they are going to seek to hold brothers accountable for homicide or for some sort of manslaughter. Generally speaking, it would be potentially very difficult for students to know the difference between a head injury and extreme intoxication." The matter is further complicated by the fact that this happened in a college community, he said, where intoxication isn't all that uncommon. "I hope that the commonwealth will take its time and be very careful," said Shubin, who declined to identify his client. Piazza's parents, Jim and Evelyn, have retained Philadelphia lawyer Tom Kline and are awaiting the results of the criminal investigation to help determine who is responsible for their son's death. "It is not unexpected that people who are in trouble give self-serving accounts and statements," Kline said. "We are confident that the real facts will prevail and that the hazing incident which cost Tim Piazza his life will not go unpunished." One lawyer, who represents a fraternity brother, offered details about the pledge night on condition of anonymity. Pledges were expected — but not forced — to drink at multiple stations in the rambling fraternity house, the lawyer said. "It was implied that you were supposed to drink," the lawyer said. "They wouldn't make him do it, but it was like you're a wuss if you don't." The pledges — according to accounts, there were in excess of a dozen — were expected to finish a 1.75 liter bottle of vodka among them, as well as drink beer and wine, the lawyer said. There were sorority women at the event, and one account shared with the lawyer was that Piazza fell when he tried to get around two women sitting on the stairs. Piazza didn't appear to have injuries other than a bump on the head, the lawyer said, and did not complain of pain. The fraternity members propped Piazza's head up to make sure he wouldn't choke on his vomit and watched over him, the lawyer said. Piazza fell asleep, the lawyer said, and the members believed he was OK and went to bed. At one point, Piazza got up and appeared to walk into walls and fell again, the lawyer said, citing information he received from police, who had seen video from the house. Beta Theta Pi had an extensive surveillance system, and police recovered video from that night. The lawyer said later that morning, Piazza was back on the couch, breathing, but not waking, which prompted the call to 911. The frat house was home to 39 members, all of whom have had to relocate. "There's an overwhelming sense of sadness about what happened with Tim Piazza," said Dan Bosshart, whose son is a Beta Theta Pi member. "These kids liked him a lot. Everyone wishes this didn't happen." Bosshart, of California, said his son, Andrew, a junior, was not at the party for most of the evening and only saw Piazza on the couch later. His son has not been contacted by police or brought before a grand jury, he said. He questioned Penn State's decision to permanently ban a fraternity that has been at the university for 130 years without prior notice or chance to present a defense. "That seems utterly unfair," Bosshart said. But he underscored his sympathy for the Piazzas. "If the chapter goes away, it's a tragedy but it just ranks so far below the loss of this kid's life," he said. "I believe all the parents feel this way. They are all trying to wrap their heads around what it would be like to be in the Piazzas' shoes."